Have a loud roommate? Can’t seem to stay awake studying in your overly comfortable bed? You might find the solution below! When you study for that big O. Chem, NPB, or Bio test you want to make sure you can concentrate! One way to get a silent study area is to take a walk down to Shields Library. There are a variety of options for all your study needs. 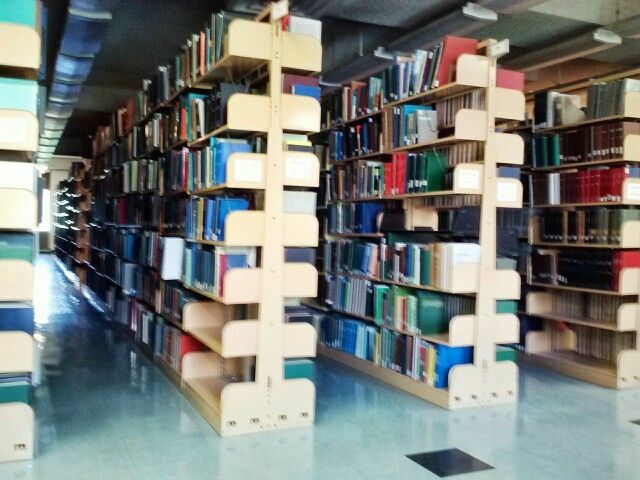 If you’re looking for a secluded area where you can cram for your big midterm or final, why not take an adventure to the fourth floor of the library? Walk through the maze of book shelves and find yourself next to a nice desk conveniently located next to an outlet. Feeling a little more adventurous? You may consider taking advantage of the locked study rooms in the library. It can be a retreat from any distractions. Also, you can leave your stuff locked in so that you can go take a quick break outside or find a book! Shields not only caters to those that wish to not be disturbed. Some students find it helpful to be in an upbeat environment filled with other students studying all around them. Some like the motivation! For this, you can go to the second floor of Shields Library and enjoy a few hours at the Reading Room. This place is definitely one of my favorites and perhaps it’s because it reminds me of Hogwarts. With an abundance of outlets and ambient lighting, this place will definitely help you on your quest for the A! The downside of the Reading Room is that it can get quite packed especially during midterm or finals week. To fulfill your thirst for studying, Shields also has a nice area on the first floor right when you enter through the door. There are several desks in front of you and an entire room filled with desks on the left. Many tutors use this area because it is a talk-friendly environment. So if you’re trying to have more of a collaborative study session this may be the place for you. Sometimes places get old; you get bored and at that point you have no desire to study. Why not spice it up with some of these great study spots? The Student Community Center (SCC) has a nice computer lab in addition to the abundance of desks downstairs and upstairs. Need some fresh air, SCC has you covered with its second-floor terrace and tables out in front by the coffee shop. The Memorial Union is frequently sought out as a study location as well because of its proximity to caffeine, pizza, and the abundance of other food items. The tables here get filled fast but waiting around for 5 minutes or so may be worth grabbing a seat next to the food and drinks if you get hungry when you study. The MU offers a quick getaway from the hustle and bustle of the crowds of students rushing to get coffee too. The Griffith Lounge on the first floor, and the Art Lounge on the second floor both offer a quiet and peaceful study area as well. During Finals week, you can even study at the Mondavi Center! Did I mention they offer free coffee and play classical music too? Need a place to study next to a spot where you can get refills on your coffee? Starbucks, Peet’s, and Panera Bread all offer this excellent and economical solution for your study needs. The WiFi and ambience also make them great study spots. If you’re looking for something more than just regular coffee places, there are a few other cafés that serve great coffee and provide a comfortable atmosphere for studying. Mishka’s is definitely a favorite of many but can get quite busy. On the other hand, Delta of Venus and Barista Brew are not as busy and offer excellent coffee as well. If you are just looking for a quick coffee and not a study spot, I’d recommend Dutch Bros as they will definitely quench your thirst for caffeine. Don’t forget to grab a stamp card on your way through the drive thru! Arboretum. When the weather is great, there is no better choice than the Arboretum. It is a peaceful place to study and it is huge. You can always find a nice patch of grass you can read in. Whenever you need a stretch break, you can take a stroll and sit on the dock by the lake. If the view is too pretty and distracting, then maybe you can visit the Quad. Centered between the Coffee House and the Library, the Quad offers a great study place with backups in case it gets too chilly or you get too hungry! There are such a great variety of study spots to suit your needs Don’t stay in your room. Explore to make studying a little bit more fun! Many More!! Check this website for more information: http://www.ucdmc.ucdavis.edu/mdprogram/studentlife/clinics/index.html for more info. Give back to the community while gaining first-hand clinical experience with any of these clinics. Want to intern at UC Davis’ state-of-the-art medical facility? Be placed in the center of an emergency room or watch an intricate surgery! UC Davis ensures its undergraduates receive the experience they need to assess whether medicine is the right field for them. Want some research experience? 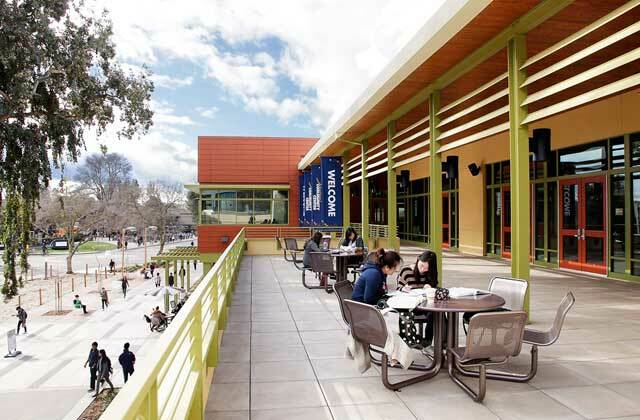 UC Davis prides itself as being one of the top public research facilities in the nation. Do you want to conduct research in a microbiology lab, a neurobiology physiology and behavior lab, or even a biochemistry lab? What about plant Biology or pharmaceutical chemistry? UC Davis faculty are very open to taking on undergraduates in their lab. Feel like you need more medical based research? You could also participate in Immunology labs or cancer labs with UC Davis Medical Center faculty! You’ll be conducting PCRs, Western Blots, Immunohistochemistry, DNA Extractions and much more! Opportunities for clinical experience and research experience during your undergraduate years are endless! Additionally, these research experiences will help students understand if they want to go into graduate school or industry. Ok so what about the classes? After having gone to UC Davis for over 2 and a half years, I can definitely say that taking classes here is fun! If you’re in General Chemistry, don’t be surprised if the professor does a demonstration with Nitrogen and Oxygen in which there is a LOUD explosion with fire too! Taking the introductory biology courses will already immerse you in the material you will study. During the labs, you will be able to observe, touch and feel sting rays, worms, spiders, and much more! Imagine being in your Organic Chemistry lab actually creating a tablet of Acetaminophen (Tylenol). The hands-on experiences are endless with the many laboratories in all fields of studies. We even have classes that you wouldn’t believe are classes. Want to take a course on tractor driving, beer and brewery, global poverty, or coffee? There are great courses that Count for your general education requirement while fulfilling your interests outside of your major! But what about outside of clinic, research and classes? Want something more? Imagine being on a campus surrounded by nature. The vast arboretum is a few minutes’ walk. You can go there to relax during the day or star gaze at night. When you’re not so much in the mood to relax, you can go to the many events we have on campus. Be part of a crowd cheering for an NCAA Division I school or part of a hundred thousand visitors during our Annual Picnic Day Festival. Join clubs or even be a part of the ASUCD (Associated Students University of California, Davis). Why not study abroad for a quarter or two to Europe or Asia while working on your degree requirements? I chose UC Davis because of the limitless opportunities. Why Major in Biochemistry and Molecular Biology? “I want to be a doctor!” is one of the most common reasons students give when choosing our Biochemistry and Molecular Biology (BMB) major. Medical schools don’t actually put much weight on your major of choice, however, they do emphasize performing well in classes that are prerequisites for their programs. These programs also look at how well you are doing in whatever major you decide. So choose a major that interests you! Also, if you do choose BMB don’t limit yourself to medicine. BMB is an empowering major that will open doors to many other careers. Imagine a single hair; The diameter of that hair is about 75,000 nanometers or about the size of the average amino acid. Why are amino acids important and why should we care about them? Amino acids are the key parts of “active sites” of enzymes. Enzymes are proteins that speed up the fundamental reactions of our body so that we can function. If you are interested in how these enzymes power our metabolism to give us energy, then this is the major for you. Not only will you gain a great deal of knowledge about protein structure and function, but you will also acquire a deep understanding of biochemical techniques through: Polymerase Chain Reaction, Polyacrylamide Gel Electrophoresis, Isoelectric Focusing Gels, and Affinity Columns. These techniques, along with the knowledge of protein structure and function in metabolism, will help you gain the initial experience and skills you need to become a better applicant for graduate programs, professional programs or even a Junior Specialist. Not satisfied with an M.D., D.O., PhD, or Masters in Biochemistry? Want a job right out of college? This major is still a great choice. The Biotechnology industry is a growing field and big industry companies are looking for Junior Specialists with a bachelors degree in Biochemistry. You can work in a lab and be on the frontier of the health sciences field as you work on the next big therapeutic drug! By integrating the fields of Biology, Chemistry and Mathematics, Biochemistry has helped several career fields grow and is continuing to provide a wealth of knowledge to those that look for it. So why major in BMB? The opportunities are endless. Foadey, W.. N.p.. Web. 26 Feb 2014. <http://www.cs.stedwards.edu/chem/Chemistry/CHEM43/CHEM43/Projects04/HELICASE/FUNCTION.html&gt;.